Thailand is one of those destinations that is endlessly popular with Australians. It offers everything from cultural temples, frenetic cities, bold street food and colourful markets, to relaxed sandy beaches, luxury hotels and spa holidays. The ever-smiling Thai locals, keen to support their families in a poor nation have taken to tourism with enthusiasm and fervour. In such a vast country offering so many experiences it is always fun to create unique and interesting holidays for my clients. This week I had the challenge of creating two Thailand packages to suit the needs of vastly different clients with very different sets of expectations and budgets. Firstly I had the 50 something couple looking for a five star experience incorporating Chiang Mai and Koh Samui and then I had a group of 20 something girls looking to celebrate a 21st birthday on the island of Phuket. In the initial consultation with the 50 something couple, of which I was solely dealing with the husband I learnt they wanted to fly business class and in doing some research it was decided the only affordable business class option would be Jetstar. In further research I discovered the preferred dates of the clients meant that they would have to fly from Sydney to Melbourne via Singapore to Bangkok, taking what should be an 8 hour flight to a 17 hour ordeal. The clients were fully prepared to do so but based on my suggestion of leaving a day later and adding a day to the itinerary we came up with a far better itinerary that allowed them to from on Jetstar's new Dreamliner aircraft direct from Melbourne to Bangkok. Not only were they saving significant time and hassle they were getting a far more modern aircraft with a nicer business class. All round a good deal. In discussion on their accommodation preferences the clients really only had two main preferences. 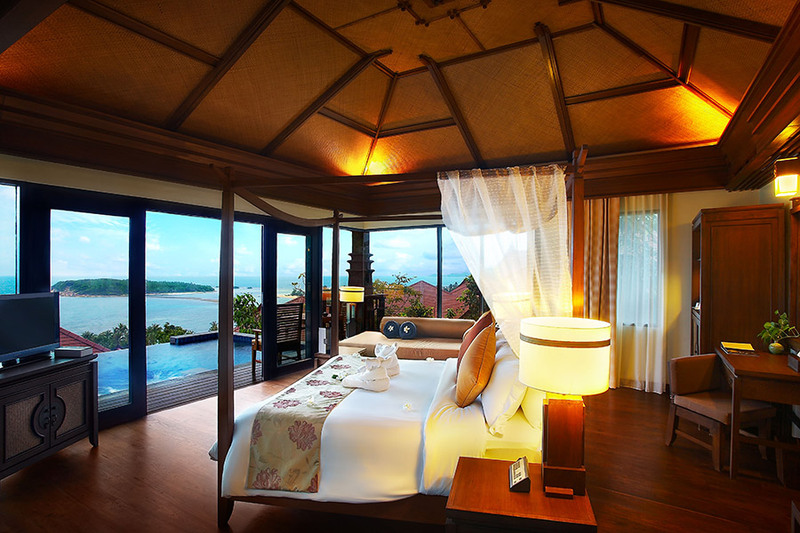 Five star accommodation throughout and in Koh Samui to be located centrally on Cheweng Beach in a room with a view. That left it fairly wide open for me to make some good suggestions. I always start with as price comparison on hotels before I make my final recommendations. In saying that I am looking for good value for money not a cheap price. Cheap and value for money are two totally different things. 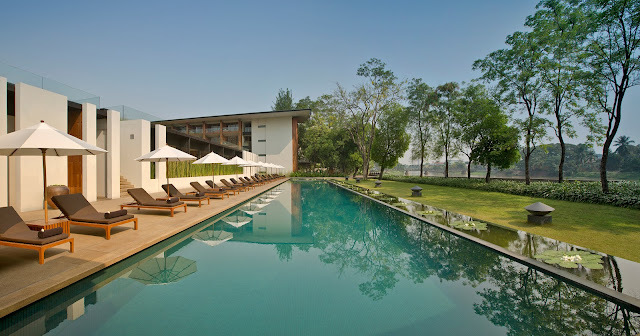 In the clients price category I had narrowed the options in Chiang Mai down to the Shangri La Chiang Mai, the Dusit D2 and the Anantara Chiang Mai Resort and Spa. My final decision for this came down to my discussion with the clients. They did seem to have discerning tastes, they wanted something special and to be honest if people want business class flights you know they need accommodation that will complete the whole experience. 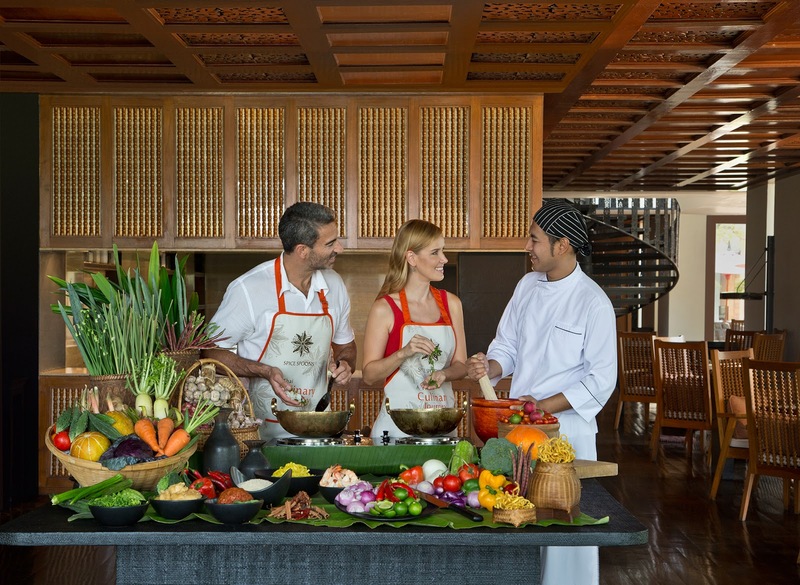 Despite being the more expensive of the three I felt the Anantara offered a unique enough experience to justify the extra cost. It's river side location with a 34 meter river front pool, it's day spa offerings, its high teas, nature experiences, cooking schools and boutique size all offer something special to the discerning traveller. The next destination for them after Chiang Mai was to be the island of Koh Samui. The great advantage of combining these two destination is that twice a day there is a direct flight between the two, saving an extra transit back to Bangkok. Here we were looking for a beach front property on Cheweng Beach. I started out with the Nora Beach Resort as they were offering an excellent rate for their Ocean Villa's and the client was excited by the swim up bar but once the client had viewed the website pictures they decided the Ocean Villas ocean views were too obstructed by foliage so we decided on the sister property Nora Buri Resort and Spa. Now making a judgement call like "too much foliage in front of the view " is a tough one. It came entirely from the clients solely based on one picture they saw on the hotels website. From experience and hundreds of hotel inspections I certainly know many rooms within the one category at the same hotel will all have different outlooks. But there is no point trying to convince a client that they should not base their decision on one photo alone is pointless. They do need to make their own decisions based on whatever criteria suits them. The time you try and talk a client out of their decision is the time it will blow up in your face. 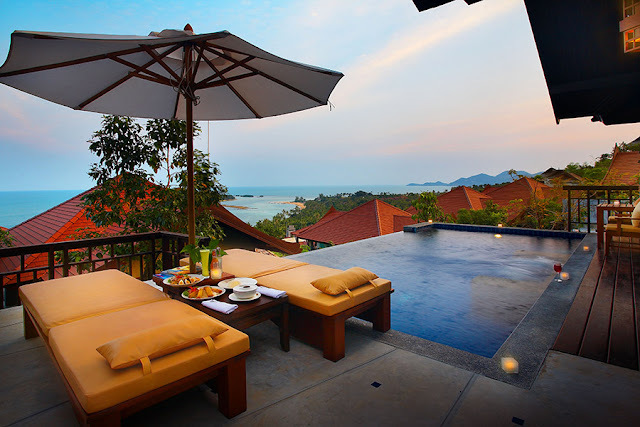 So despite the $2000 price increase the clients chose the Pool Villa Hillside Seaview room at the Nora Buri Resort and Spa. And quite frankly with it's own private pool overlooking the ocean you could not go wrong with this choice. The photos on the website speak for themselves. With a room size of 115 square meters this thing is to die for. It makes me want to pack my bags right now and jump on that plane. This package was then contrasted with that of my 20 something girls wanting the celebrate a birthday on Phuket. Being young and this their first trip overseas without the parentals they wanted to be located where all the action is so Patong Beach was just the ticket. Teaming with restaurants, markets, clubs and bars these girls wanted to be able to walk out their door and be in the heart of it. With their maximum budget of $2000 a head I scrapped their plans to incorporate a Singapore stopover which due to the lack of availability was going to cost them $1600 for the airfare alone. With direct Jetstar flights from Sydney straight into Phuket we got their airfare to under $800 per person. The next job was to find the best accommodation we could and still bring the package in on budget. Scanning all the hotel rates we settled on the Centara Blue Marine Resort and Spa. Here the girls could afford to upgrade to a Deluxe Ocean Facing room to take in the views from the hotels clifftop setting. 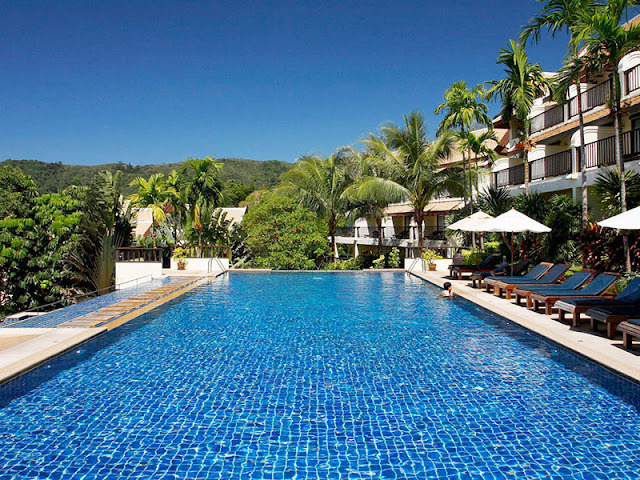 They will be close to all the action of Patong Beach, they have wi-fi (very important for their age group), there are spa facilities, a choice of restaurants and bars within the resort and a stunning hillside pool with ocean views. For a first time holiday I think these girls will have a trip of a lifetime. So at the end of the day we have some very happy clients and one happy travel agent. Don't forget that by booking your travel with your local travel agent you are getting a wealth of experience and travel knowledge free of charge. Travel Agents make a commission from the suppliers to sell their travel products so their services do not cost you anything.You will also be supporting local business, you will be protected by your countries consumer laws (which is not the case if you book online as you are generally booking overseas) and you will have access to great deals and great service. There is no reason not to give it a go.